NEWPORT BEACH — With a $4.5 million cleanup project of the Rhine Channel completed and a $7 million Lower Bay dredging project in the works, Newport Beach officials are taking a hard look at what’s ahead for the harbor area, what’s most important and where the funding will come from. Over the past several months, the Tidelands Management Committee — headed by Newport Beach City Council members Mike Henn (chair), Edward Selich and Mayor Nancy Gardner — have been looking at the revenues and expenditures coming from the Tidelands Fund. At the same time, they have been compiling a growing list of maintenance and improvement projects for the harbor and tidelands area, including $26 million for all future dredging projects, a $70 million seawall and bulkhead replacement project at Balboa Island and $9 million expected to cover the waterside portion of the Marina Park project next door to American Legion Yacht Club. Over the years, a $15 million gap between the Tidelands Fund’s yearly revenues — approximately $10 million — and expenses – approximately $25 million — has been covered by Newport Beach’s General Fund. Revenues for the Tidelands Fund are produced through harbor fees, such as pier permits, mooring and liveaboard fees; public parking fees; yacht club and marina leases; and the sale of oil from West Newport’s oil fields. Tidelands expenses include Harbor Resources staff salaries, oil drilling costs, and maintenance projects — and a share of General Fund expenses, such as lifeguard, police, public works and municipal operations expenditures. Rob Houston, assistant to the Newport Beach city manager, said that when the city looked at expenditures and revenues for the tidelands, it wanted to include portions of operations — such as the fire department and police department response unit costs, and the maintenance and operations costs — on the expenditure list. To get a better view of all the responsibilities of Tidelands, the city tasked Harbor Resources manager Chris Miller with compiling a list to identify all improvement projects and maintenance items the Tidelands Fund would be subject to over the next 10 years. The list has taken on many variations, but the most recent incarnation disclosed at the Feb. 15 Tidelands Management Committee meeting showed that even with regular maintenance aspects such as pier deck replacement, road paving, beach replenishment projects and public dock maintenance taken out of the equation, the city is still looking at more than $109 million in projects identified on the 10-year tidelands improvements infrastructure plan. The growing capital improvement projects list has city officials looking at ways to avoid increasing the funding gap further, and increasing fees around the harbor appears to be on the list. The city has been taking a look at ways to produce extra revenue in the harbor area, with city council members approving a five-year phased-in rate hike for mooring permit holders in 2010. 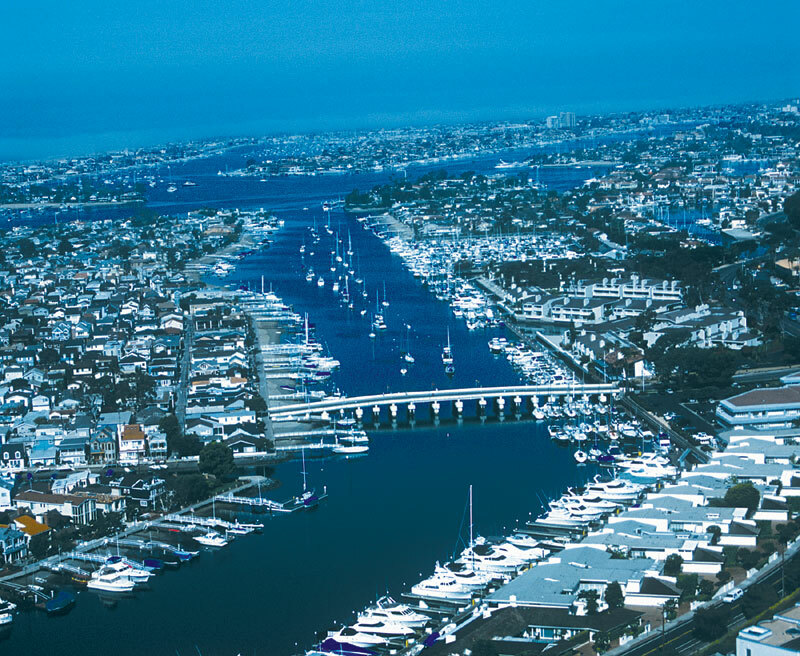 The decision followed a 2007 Orange County Grand Jury report criticizing Newport Beach for facilitating transferability rules on moorings that it claimed allowed permit holders to make private profits on public property. With the first increase in more than 14 years, mooring holders are seeing their annual rates go from approximately $70 a month for a 40-foot boat to $200. The city is aiming to charge about 14 percent of the average Newport Harbor marina slip fee for moorings. During the Jan. 18 Tidelands Committee meeting, a presentation showed harbor fees such as pier permits, liveaboard permits and waterfront leases could be increased to generate $1 million to $2.5 million a year. The increase would generate an additional $10 million to $25 million over a 10-year period in tidelands funds, on top of the current $10 million revenue stream. If city officials agree to allow the General Fund to continue to cover the $15 million expenditure gap, as it has historically done, the extra money raised in fees could be put directly toward improvement projects. Now, the Tidelands Committee has asked its Citizens Advisory Panel — a group of Newport Beach citizens and harbor stakeholders — to prioritize the long list of possible improvement projects developed by the Harbor Resources department. With former Harbor Commissioner Don Lawrenz as the lead, the Citizens Advisory Panel met Feb. 8, coming up with a prioritization worksheet for each project. “This started with throwing every single project that’s harbor-related on a list; and now it’s time to narrow it down,” Miller said. The topic and worksheet will be discussed at the March 21 Tidelands Management Committee meeting at the Oasis Senior Center, 800 Marguerite Ave., Corona del Mar. ← What Caused Santa Barbara Mooring Problems?